Most water heater maintenance manuals suggest that you drain a water heater at intervals ranging from six to 12 months. The reason this is recommended is to help remove any sediment or build-up that collects on the bottom of the water heater tank. This build-up will cause the water heater to work harder to heat the water, using more energy and costing more money to run. 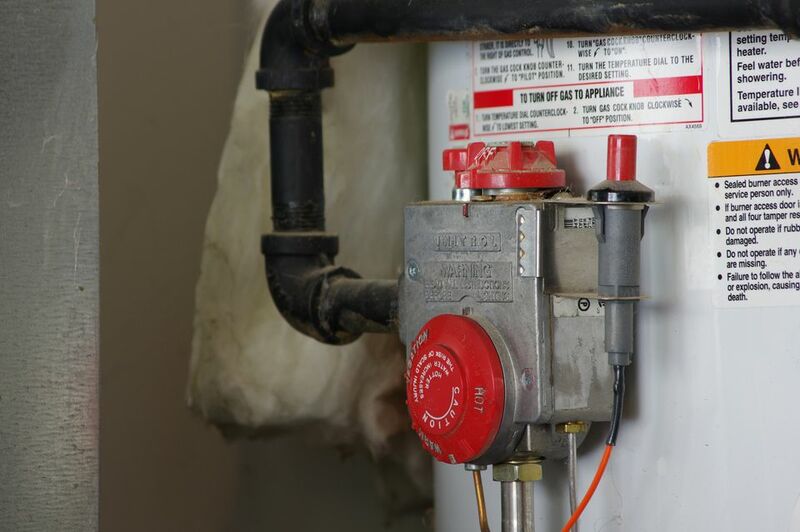 It is fairly easily to drain a water heater, but you should know what to expect before you begin. Be prepared for a leak. There is a chance that the drain valve will not fully close again once you open it to drain the tank. Remember, this drain valve has been sitting for six months to a year (or longer) and the older it gets, the less likely it will be to close again completely. Be prepared to either put a cap over the valve, or to replace the drain valve completely. If your water heater has a cheap plastic valve, this is a good time to upgrade it. Perform a quick flush. Before you shut off the water, connect a garden hose to the drain valve and try and flush the water heater tank a bit while the water pressure is on. To do this, open the drain valve for a few seconds and then close it again. The pressure will blow out any sediment stuck in the valve and help the tank drain faster. If quite a bit of sediment comes out, you can repeat this a couple of times. Turn off the water heater. Shut off the gas to your water heater, or shut off the power if it is an electric heater. Now shut off the water, using either the valve in the cold-water pipe above the water heater or the main water supply valve to the house. Make sure the pressure is off by testing the water faucets in the house, turning them on and checking for hot water. Open the drain valve. With a drain hose attached, open up the drain valve. It will not drain much until you release the vacuum in the tank. To do this, remove one end of the hot water pipe above the water heater and pull it to the side just a bit. This will allow air into the tank, and the water will begin to gush out of the drain. Flush the tank with water. Once the tank is fully drained, you can flush it with a few gallons at a time by turning the water on for few seconds and then letting it drain out again. Leave the hot side water pipe disconnected until flushing is complete, then reconnect the pipe before refilling. Refill the water heater. Disconnect the drain hose and shut off the drain valve. Make sure to reconnect the hot water pipe above the water heater and tightened it well. Now you can turn the water back on to the water heater. Open the hot side of a fixture in your house (the bathrub tub hot side is best). Leave the fixture running until all the air is out of the lines and you are getting nothing but water out of the fixture, then turn the water off. Relight the water heater. Relight the water heater pilot, or turn the power back on if it is an electric heater. Within an hour or so, you should have hot water. Check the drain valve. See if your water heater drain closed completely by looking for leaks at the spout. If it did not close completely, you can put a cap over the hose thread of the outlet to stop the leak. Or, you can replace ​the valve completely.